I am proud to be a part of this movement. And this article introduces a new report on play and risk that I have written for the Bernard van Leer Foundation, the influential early childhood organisation, as part of its agenda-setting Urban95 initiative. It all starts – or should start – with children. Even the youngest children have an appetite for uncertainty and stimulation: what risky play academic Ellen Sandseter calls ‘scary-funny’ experiences. This appetite demands to be fed if children are to enjoy their childhoods and grow up healthy, confident and capable of looking after themselves. That said, children do have accidents on playgrounds, and they can be serious. So we need to look at the risks as well as the benefits. On any reasonable comparison, playgrounds are not particularly dangerous places. The relative risk of injury from playing rugby is around 50 times that of playing on playgrounds. Hockey/skating causes around ten times as many hospital visits for concussion as playing on playgrounds. Around 50-60,000 children visit UK hospitals for playground injuries each year. Rates remained constant over a 14-year period, despite new standards and high levels of expenditure on playground safety. 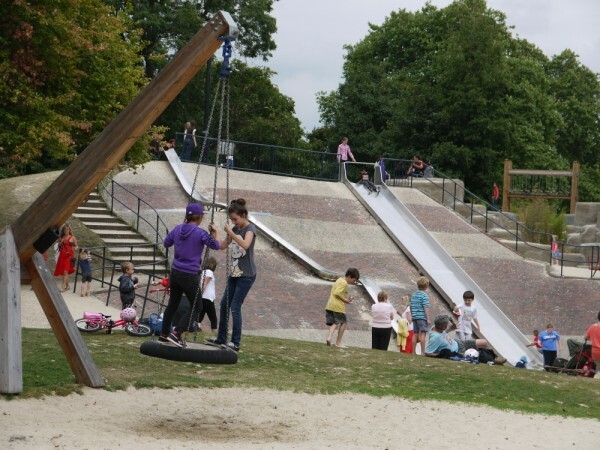 In the UK there is, on average, one equipment-related public playground fatality every three or four years. Canada has seen two equipment-related playground fatalities in the last 30 years or so. In the decade 1989 – 99, around 1,300 UK child pedestrians died as a result of traffic accidents. Over the same period, perhaps two or three children died as a result of playground equipment-related accidents. This is not to say that we should ignore play safety. But we should be honest about what it involves. Children vary enormously, as do their cultures and circumstances. The places they spend time in – childcare settings, public spaces, adventure playgrounds, natural environments schoolyards – have different qualities, goals and functions. When making decisions about risk, we need tools that acknowledge this complexity. 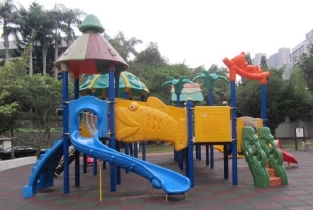 Historically, playground safety has been seen in simple terms, as a matter of compliance with industry standards for manufactured playground equipment. And standards are helpful tools – for instance, in ensuring that equipment is structurally sound, or does not have hidden dangers such as head traps. But playground standards are far from perfect. They are primarily aimed at manufactured kit, and hence lack flexibility. They restrict creativity. And although they may look objective, in fact they make value judgements about where the balance between risks and benefits is struck. The fact that they are drawn up largely by industry insiders raises questions about the legitimacy of these judgements. Playground standards may also struggle to take into account possible side-effects, including the possibility that children will be denied the chance to learn to manage risks for themselves. Or that children may find playgrounds so boring that they seek their thrills in other, more dangerous places. Or that they simply stay indoors, with all the health risks of a sedentary, inactive lifestyle. Hence there is a strong case for new tools that foster better decision-making. One such tool is risk benefit assessment (RBA). RBA emerged in the UK as a direct response to growing risk aversion and the limitations of standards-based approaches. It enjoys regulatory support. It is embedded in outdoor learning programmes such as forest school. And it has paved the way for innovative, creative playground designs. Interest in RBA has spread to Australia (where it is referenced in new equipment standards), Canada and beyond. These are all high income countries with robust planning and regulatory frameworks, and a tradition of providing public play space. What about low and middle income countries, where the context may be quite different? RBA may be helpful in these contexts too. Rapid urbanisation, health and environmental concerns mean that ever more cities are likely to be designing spaces for play. 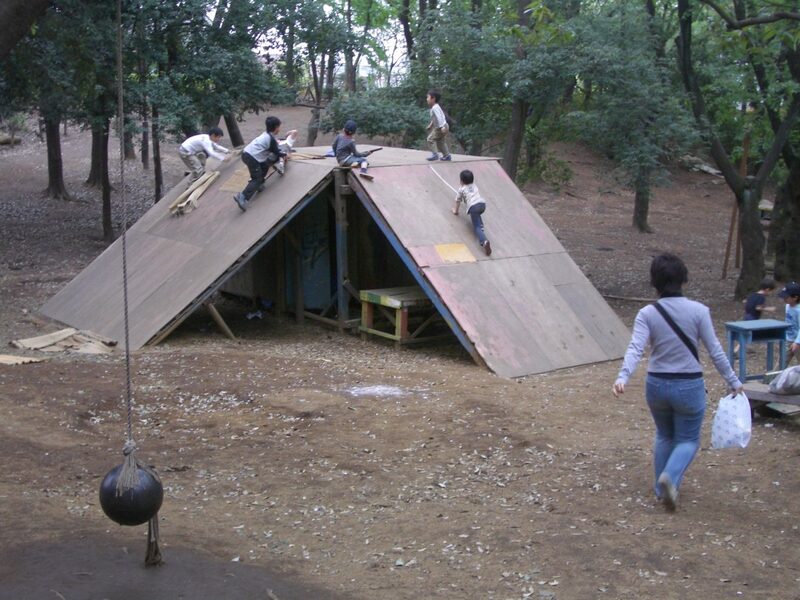 When it comes to children’s play, there is an unavoidable tension between risks and benefits. The idea that risks can or should be eliminated makes no sense. A new approach – based on RBA – would allow city governments to avoid the pitfalls of risk-averse, commercialised, standardised models. Playing it Safe? concludes with ten recommendations for city governments, NGOs, research institutions and public health and safety bodies – summarised below – to build such an approach. I would welcome your views on these recommendations. Are they the right ones to help these key agencies strike a sound balance between children’s safety at play and their health and well-being? Support data collection on claims, compensation payments and legal cases, in order to assess the cost and prevalence of litigation. Support different models and approaches to play – especially low-cost, low-tech interventions that draw on local cultures and practices – and use risk benefit assessment to inform judgements about play safety. Engage with insurers, risk managers and the legal profession to clarify the legal context and open up debate. 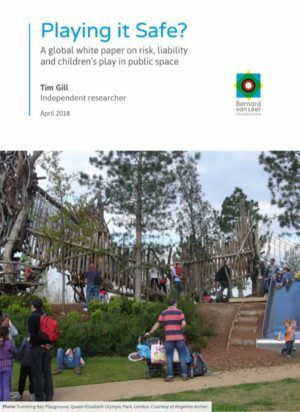 Explore the scope for cost-effective procurement of play spaces at scale using risk benefit assessment to support a thoughtful approach to play safety. Promote risk benefit assessment as a tried-and-tested tool (in high income countries) and as a tool with the potential to support innovation and creativity in playful public space design (in low and middle income countries). Make the case for proportionate risk management that focuses on children’s health, happiness and development, that takes into account other environmental risks they face, and that avoids the pitfalls of excessively bureaucratic, compliance-driven approaches. Support diverse, high-level debate to build consensus. Consider initiatives that explore and challenge elements of standards that are not well-supported by evidence and argument. Support fact-checking and the collection and analysis of robust data on playground accidents and injuries. Agree on a policy position on play, risk and liability, and broadcast this via media partners. I want to thank the Bernard van Leer Foundation for giving me the opportunity to write this report, which shows its commitment to fresh thinking and constructive debate. I would also like to thank all those who gave their time and expertise in interviews and comments on drafts – in particular my longstanding collaborators David Ball, Harry Harbottle and Bernard Spiegal (see the report for a full list). 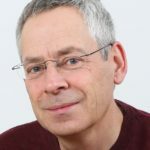 Author: Tim Gill is an independent researcher, writer and consultant whose work focuses on children’s play and free time. His book ‘No Fear: Growing up in a risk averse society’ was published in 2007. In 2017 he was awarded a travelling fellowship by the Winston Churchill Memorial Trust to study child-friendly urban planning. 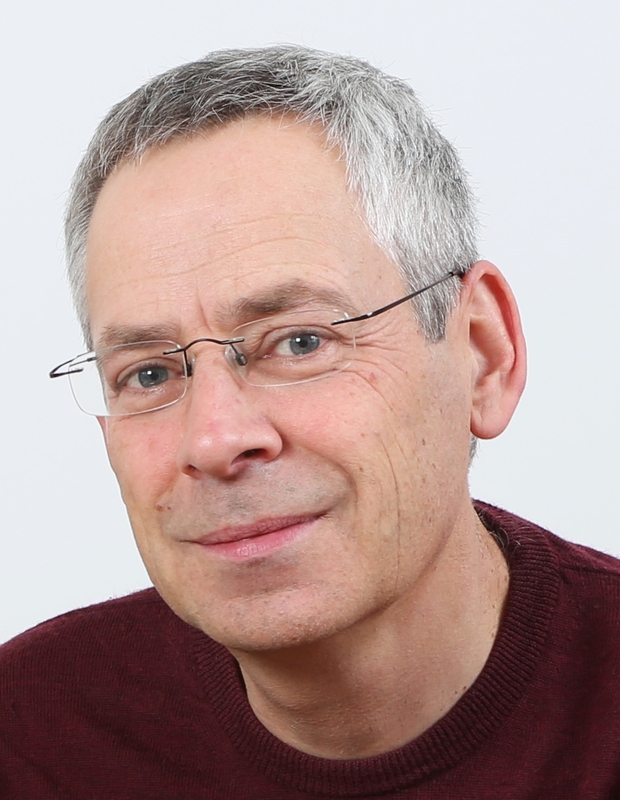 He is a Built Environment Expert for the UK Design Council and was director of the Children’s Play Council (now Play England) from 1998 to 2004. His website is www.rethinkingchildhood.com.